KINGAROY Hospital's redevelopment project has entered an exciting phase following the recent completion of early works. Health and Ambulance Services minister Steven Miles said the Palaszczuk Government had committed additional funding to expand the upgrade. "We're investing $73.9 million for the Kingaroy hospital redevelopment, $11.9 million more than we originally committed," he said. "Our investment is delivering an increase in the number of beds to 66, and will improve the facility's role as a hub for trauma, paediatric, obstetric, rehabilitation and mental health services." The extra funding boost will include ensuring the new hospital is digital ready, a new on-site kitchen and enhancements to the central energy facility to ensure a reliable power supply. "Now that the early works have been completed on schedule, Darling Downs Hospital Health have begun the next phase of the project which involves consultation with key stakeholders and finalisation of construction drawings for the new facility," Mr Miles said. Darling Downs Hospital and Health Board Chair Mike Horan AM said the project was progressing on schedule. "Anyone who has been to Kingaroy Hospital recently would have seen changes on the site, most notably the excavation of an area of around 2000 square metres, which is where the new hospital will be built," he said. The project is expected to go out to tender early in the new year, and once that process is completed, the construction is anticipated to start by mid 2019. "We've also upgraded some underground services and relocated some departments, such as the hospital's building, engineering and maintenance service, which has moved into upgraded, newly constructed buildings at the back of the campus," Mr Horan said. The new Kingaroy Hospital was scheduled to commence providing services in early 2021. 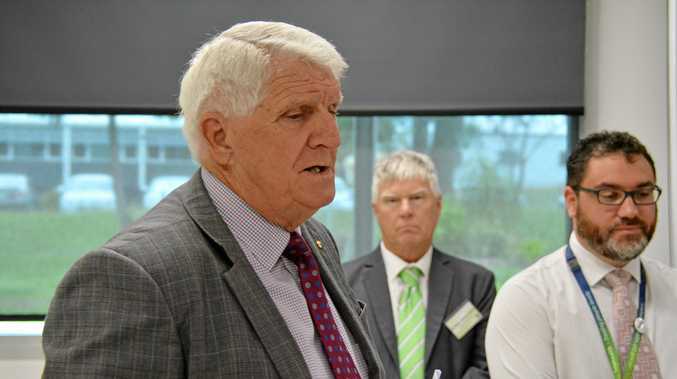 "Darling Downs Health understands very clearly the community's eagerness for a new facility, which is why this phase of the project is so important," he said. "We are putting a lot of time into the detailed design so the new facility will be the best we can provide." Mr Horan thanks the patients and community members for their patience, as well as the hard work by the Kingaroy Hospital staff, who will continue to provide the best possible care moving forward with the project. "We look forward to a modern, state-of-the-art regional hospital to serve the people of the South Burnett," Mr Horan said.